Looking after our teeth can be a real pain at times, and we’re not just talking about the dreaded toothache! As well as brushing and flossing at least twice a day, us parents have to ensure that our kids follow suite. If we need some expert advice, we have to visit our local dentist and this usually costs a few dollars. They are worth their weight in gold fillings though, and can often save us a lot of time and worry. But have you seen some of these cool apps that are doing the rounds on iOS and Android platforms? There are some very useful applications that can also help us. They will never replace dentists obviously, but are very useful and convenient. 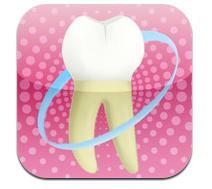 This article takes a look at the top 4 dental apps out there. Dental Expert – Cosmetic Innovations Inc. This iOS app certainly has its fair share of groovy graphics, but there is also some substance behind these stylish features. 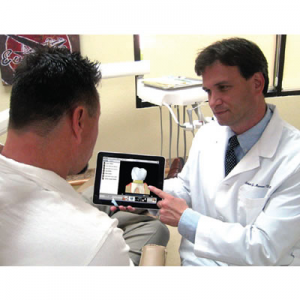 As well as 3-D imagery regarding every type of tooth, there are many sub-sections that include information on tooth care, causes of dental diseases and dental implants. You will learn a lot of valuable information about how each of your teeth function and how to ensure that they continue in a healthy and caring manner! Currently available on all 3 main platforms –iOS, Blackberry and Android, this app is a wonderfully educational foray into the world of dentistry. It explains hundreds of complicated dental procedures and breaks them down into bite size chunks of valuable information for the patient. 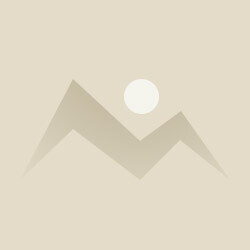 You are even allowed to upload your own images into the fantastic online library for more suggestions. 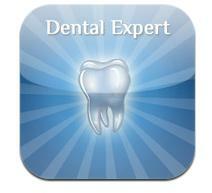 Overall an excellent technical dental app! Quite simply, the winner is… you! Should you choose any of these top 4 dental apps you will be learning so much more about our wonderful dentists and how to keep our smiles looking beautiful! And if none of the above apps work for you, Find a trusted, local dentist at SmileGeneration.com. Today’s guest author, Tori Jones, is a receptionist at the Advanced Dental Artistry, Morley. She is a fun loving person and enjoys listening to soft music for leisure.